A pumped up Phil Sharp and Pablo Santurde (Imerys Clean Energy) – the Anglo-Spanish pair – were first across the line in the Class40 as the 13th edition of the Transat Jacques Vabre 2017 started at 13:35 (French time) from its home in Le Havre, in Normandy, France today (Sunday). Beautiful light but lively weather greeted the fleet of 37 boats and 74 crew. With 15-18 knots of north-westerly winds, a choppy shallow sea and plenty of current against them, they negotiated 15 miles of coast to round the first marks at Antifer and Étretat. It will be a highly technical and tactical starting phase, with lots of sail changes and no sleep tonight. The Ultime should be passing Ushant around midnight, followed by the Multi 50 in the middle of the night. 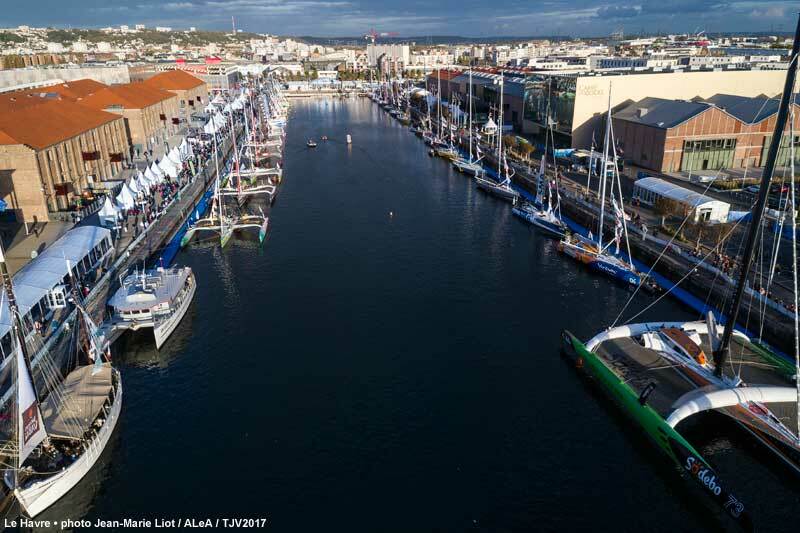 The Imoca and Class40 are likely to suffer most in a softening wind against the strong currents at the tip of Cotentin, and the gaps with the multihulls will already start to widen. It may be a marathon not a sprint, but Sharp, the leader of the Class40 championship, was raring to go as the boats had their tremendous send-off from the pontoon. All four classes are looking at record times for this bi-annual double-handed transatlantic “Route du Café” race of 4,350 miles to Salvador de Bahia, in Brazil. That international camaraderie of the fleet was extended by Davies, who wished good luck to the many offshore racers and record breakers in the Atlantic this weekend, which includes a larger number of former Transat Jacques Vabre competitors. 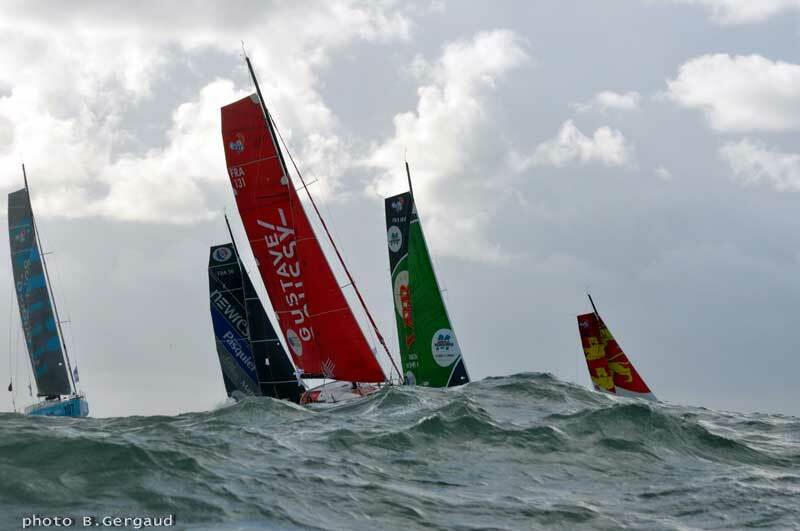 “First to all the fleet in the Transat Jacques Vabre good luck and I hope to see you all in Salvador,” Davies said. “But we’re not the only ones out in the Atlantic : to the Dongfeng race team on the Volvo Ocean race you too are about to set off on a massive leg to Cape Town, thanks for your encouragement, and the same back to you, to Charles (Caudrelier), a winner of the of the Transat Jacques Vabre in 2009), Carolijn (Brouwer) and yes Caroline, Foxy is going to be onboard Initiatives-Cœur don’t worry ! Good luck to the whole fleet and especially all the girls from Team SCA.